Valentine’s Day: Chocolate? Flowers? Or Bike Parts! Valentine’s day is a day to celebrate what you love. Sure, the traditional Valentine’s Day expression includes flowers, chocolate, and a card, but why not ride something HOT this Valentine’s Day! Bikes that is. And hot bikes we’ve got! 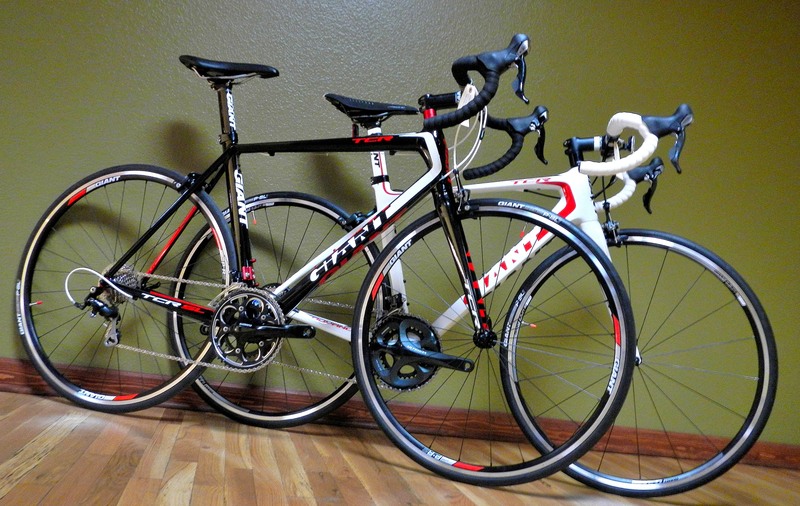 Sharing the Valentine’s Day love we offer the Giant TCR Advanced 1 and SL2. Both are manufactured by Giant. Both have a race aggressive geometry. Both have a lifetime warranty on the frame and a year for bike parts. includes an integrated sensor compatible with any ANT Heart rate monitor, power meter, or cadence sensor. Giant TCR SL 2 This bike is an aluminum frame. With this bike you get the benefits of the stiffness of the frame but at a lower price point. It is great for the budget minded cyclist looking to get into a high end feel. 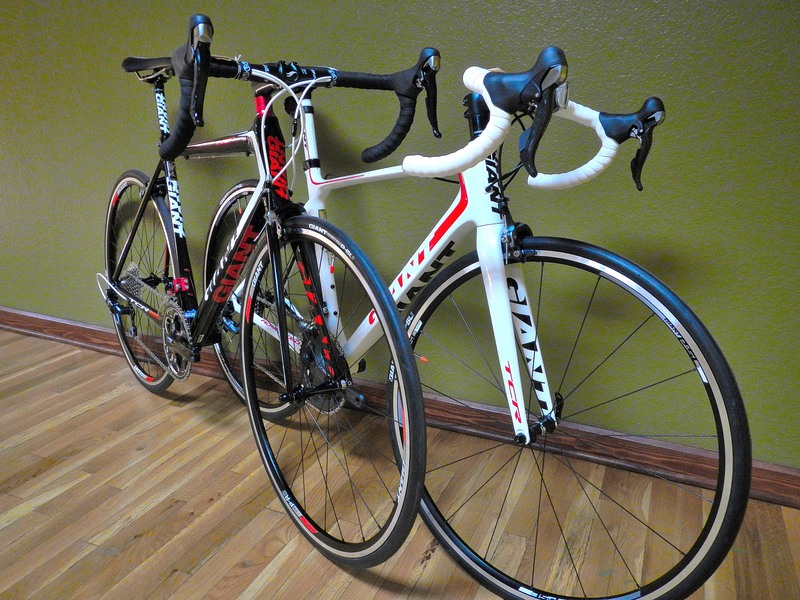 Or, if you are an entry level cyclist, weekend warrior, or entry level racer, this may be the bike for you. The Giant TCR SL 2 is an option if you are considering criterium racing yet have a fear of crashing. The aluminum frame may be the way to go. So, what is the main difference between the two? Of course, they are offered at two different prices. Aside from the material difference of carbon and aluminum, the biggest difference is in the crank. With the Giant TCR Advanced 1 you get upgraded drive train components which are stronger, more responsive, and they stay in adjustment longer. Now that you’ve got a hot bike to ride, you need bike parts to woo the Valentine’s day love. For starters, you’ll need to track that beating heart – with a monitor of course. For the Giant TCR Advanced 1, because it has a sensor, you might consider the Garmin without cadence but you will need this if heart rate is needed. For the Giant TCR SL 2 you may opt for the Garmin with cadence & heart rate. Next, you’ll need a way to pedal your love around. Opt for the Look Keo Plus Pedals Black/White for the Giant TCR Advanced 1 or the Look Keo Easy Pedal 2012 for the Giant TCR SL 2. Finally, if chocolate is a must for Valentine’s day, you can carry it around in a saddle bag made just for him or one especially for her. It’s your Valentine’s Day. Are you going to make it hot? or Not!